The leadership dinner has one honoree that is presented with the Good Scout Award. This individual is someone who embodies the values and ideals of Scouting through community leadership and service, and has made a difference in the Tall Timbers District. Bruce Tough co-chaired the Tall Timbers Boy Scout Community and Leadership dinner this year, honoring Robert Marling as the Good Scout for 2018. The event was held on February 20, 2018 at The Woodlands Country Club. 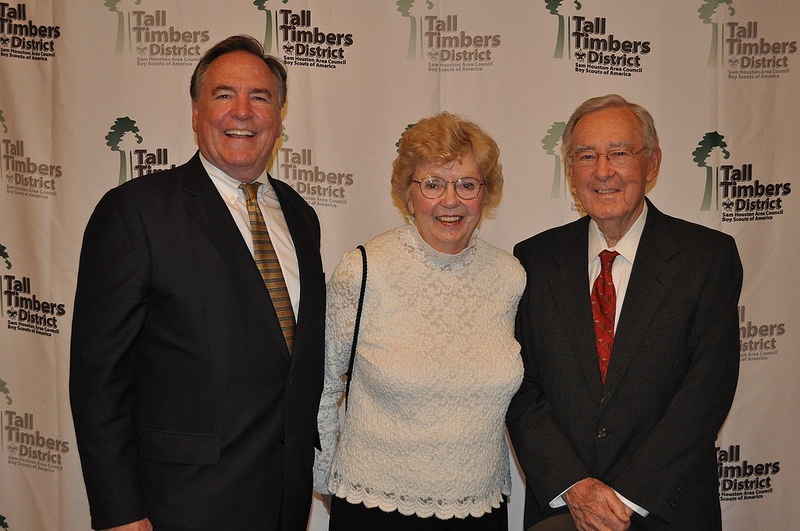 Pictured below are Bruce Tough, the District Chairman for the Boy Scout Tall Timbers District, Agnes Tough Larsen and Coulson Tough, who was the Good Scout honoree for 2011. View all BSA’s Tall Timbers District Annual Business and Community Leadership Dinner 2018 photos here.